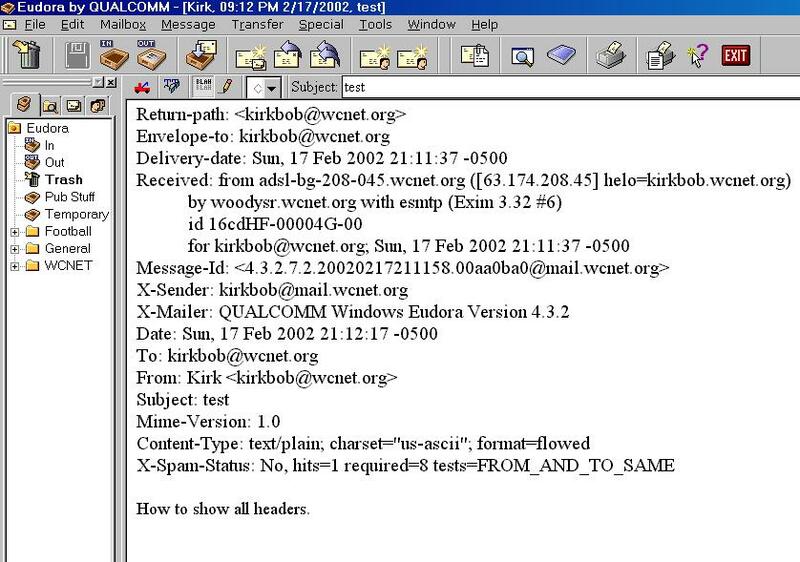 If you receive a spam message that you would like WCNet to filter out, you need to send a copy of it to us showing all headers. This way, we can trace where the message originated. Below you will see screen shots of how to show all headers using Eudora and Outlook Express. Once you have all headers clicked, forward the offending message to abuse@wcnet.org. In Eudora, click on the blah,blah button. 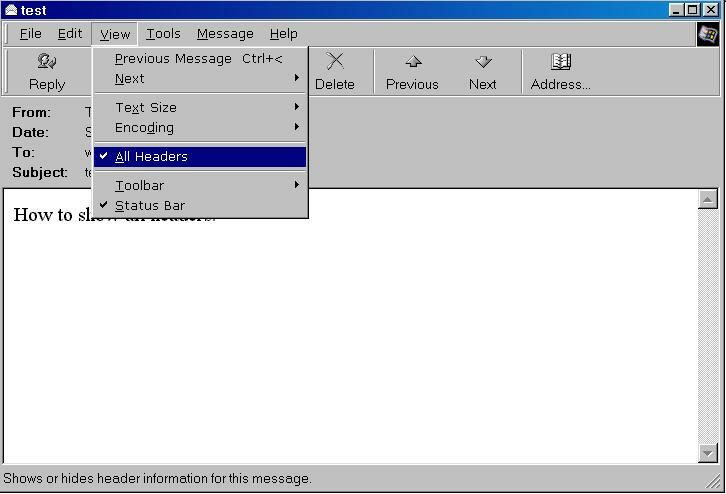 In Outlook Express, click on view and then show headers.